Also launching with the service will be cloud based DVR with unlimited storage, which will prove useful for those who regularly record their shows for viewing. Youtube has announced it will roll out in the next few months. This service will launch in the US first, and only limited to major markets. For sports fans, Fox Sports, regional and national, along with ESPN, NBC Sportsnet and others will be made available. However, uncertain is how broadcast of select leagues will be affected by this. ie. the NFL has an exclusive deal with Verizon in the US meaning that NFL games will not be broadcasted on Mobile and can only be viewed via television and desktop. Each subscription will have 6 accounts to share with the family and can be used on mobile, desktop, TV or any Chromecast device. Nothing has been announced as far as an international roll out is concerned, but I do not expect this to happen anytime soon. 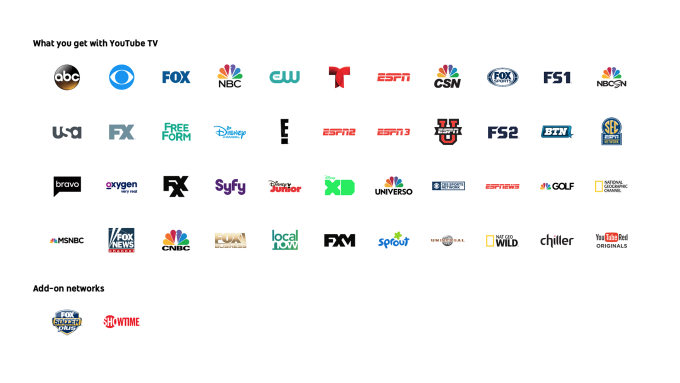 What do you guys think of the new TV service?